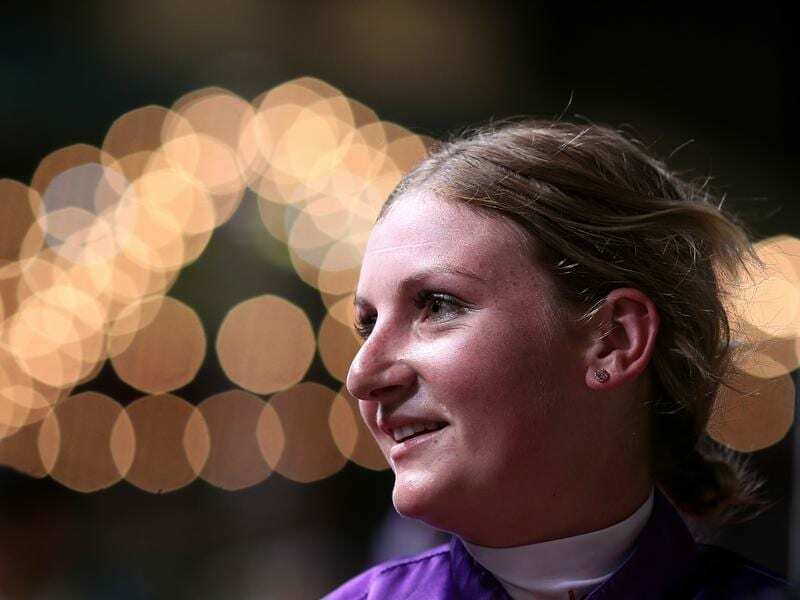 Jockey Jamie Kah will ride Kay Kay Boy as she chases back-to-back wins in the Brisbane Handicap. Star South Australian jockey Jamie Kah has a chance to win successive Brisbane Handicaps for trainer Ben Currie. Kah will be in Brisbane for the Origin Jockey Series at Doomben on Friday and Saturday. She rode in the series last year and won the Listed Brisbane Handicap (1600m) on Cantbuybetter for Currie. Cantbuybetter will be having another attempt at the race but will be ridden by Jeff Lloyd. However, Kah will rode French import Kay Kay Boy for Currie. After racing without a win in France, Kay Kay Boy has won four of his seven starts for Currie. Kah has rides in all five Origin heats but has picked up several other mounts during the two days. “Ben was a great supporter of mine and helped me get a profile in Queensland when I won on Cantbuybetter last year,” Kah said. Kah recently rode her 700th winner in just over six years in the saddle and is in constant demand. “I am off to New Zealand next week to ride in a jockeys challenge. I like the Origin concept because it gives you a chance to line up your ability against jockeys from all over Australia and New Zealand,” she said. Kah says she is asked almost weekly if she has any plans to move interstate in the coming years.